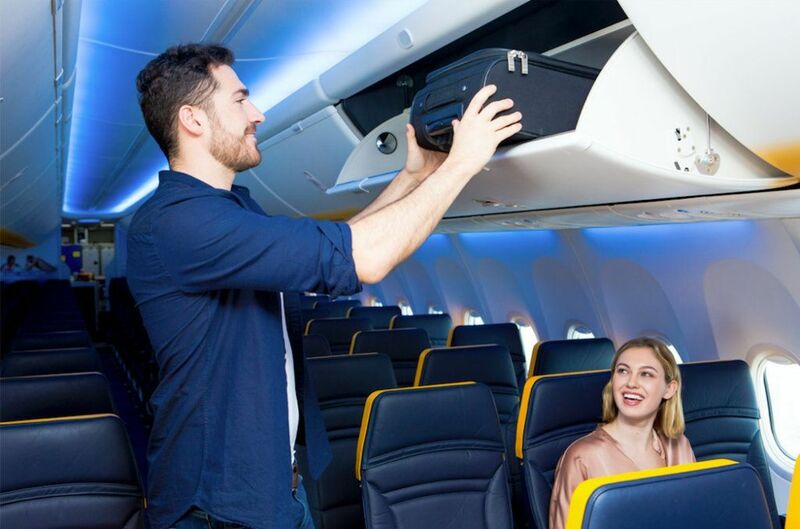 Ryanair said that its new bag policy from 1 November has already improved punctuality in the first week since its introduction and has been welcomed by both customers and airports across Europe. Better punctuality – 88% of Ryanair flights have arrived on-time since 1st Nov, compared to 77% in the 7 days prior to the change in policy. Priority Boarding customers continue to bring 2 free carry-on bags on board. Non-priority customers can only bring 1 free small carry-on bag (now 40% bigger). Non-priority customers who wish to bring a 2nd bigger (wheelie) bag can buy a lower cost 10kg check bag for just €8 at time of booking (currently a 20kg bag costs €25). Ryanair’s Kenny Jacobs said, “We’ve received lots of positive feedback from our customers and airports across Europe that our new bag policy has reduced airport security queues and improved the boarding gate experience, with 11% better punctuality, as we eliminate free gate bags and related flight delays.